Members gathering at the domestic airport, then take the scheduled flight to the capital of Italy, Rome. Upon arrival, transfer by our company bus to restaurant for dinner, after dinner check-in at the hotel, overnight staying in Rome. Miracle Square, which embodies the essence of the City. Realized in 1152 AD, in 1987 was included by UNESCO in the “World Heritage List”. -The Cathedral Santa Maria Assunta (St. Mary of the Assumption), started in 1063 and completed in 1125, whose style clearly shows Byzantine influences. -The Leaning Tower of Pisa, the world-famous scenic spot and historic building, is also the pride of Pisan citizens. -the Cathedral of Saint Mary of the Flower, the best among all constructions in Florence, built in 1294 and completed in 1463, its architecture and sculptures simply cannot de missed. -The Giotto’s Bell Tower, located in the right side of the Cathedral of Saint Mary of the Flower, is the posthumous of Giotto’s work, “the father of European painting”. Dinner and rest at the hotel. Overnight staying in Florence. -Dante’s Former Residence: Dante was born in Florence on May 29 1265, in an common three-storey high small building, which now became Dante’s memorial, here each layer is arranged to record the living conditions of different periods of Dante. -The Academy of Fine Arts (Accademia delle Belle Arti), the first in European school of arts, is also the world's oldest Academy of Fine Arts. Apart from the original statue of “David” by Michelangelo, it also hosts other Michelangelo’s pieces such as “The Prisoners” and the “Pietà”. Dinner and overnight staying in Florence. 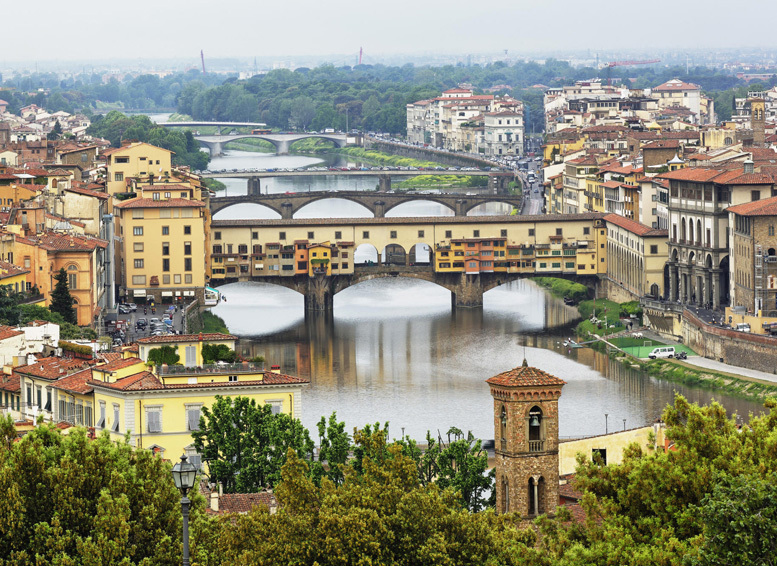 After breakfast, visit the Uffizi Museum, one of the largest museums in Italy, is also the world's largest art museum, it collects many important and representative works which show the world the whole picture of the Renaissance Art’s achievements. Then, go to a Chianti winery for visiting and tasting. 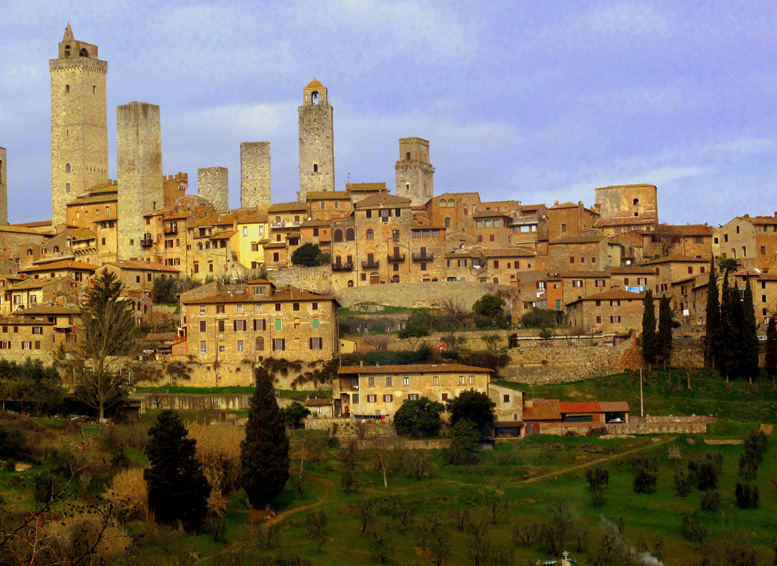 In the evening go to San Gimignano area for dinner. Overnight staying in San Gimignano. -The Cathedral, located in the center of the 13th-century old town, its style is Romanesque. -The Wells Square (Piazza Della Cisterna), whose name is due to the well located in the middle of the square, it was built in 1237 and it’s surrounded by ancient medieval buildings. -The Former Podestà’s Palace and the People's Palace, the first was built in the 13th century, formerly the Podesta’s family residence, is now a Opera House. People's Palace was built in the 14th century, the palace has a beautiful courtyard and intricate brick staircase, the second floor’s “Dante Hall” is the place where the poet gave his speech. 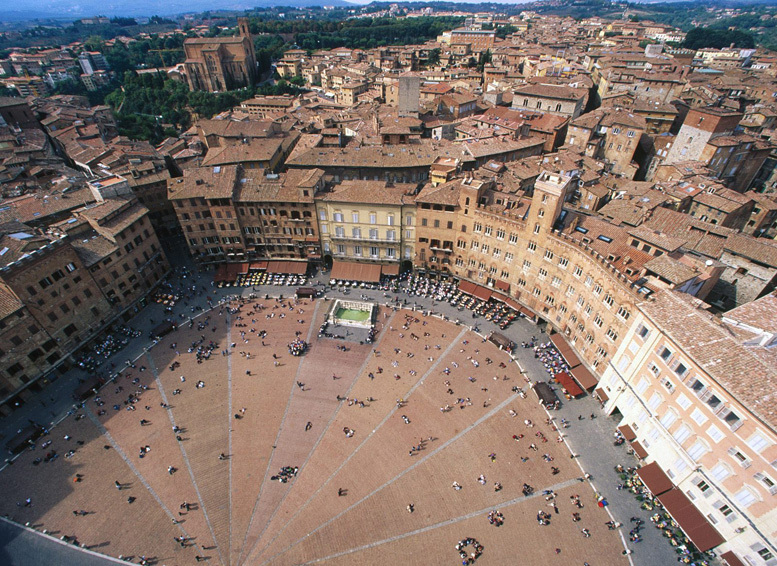 In the evening go to Siena for dinner and overnight stay. -The Duomo, started in 1229, was completed in the 15th century, with a Roman and Gothic style. -Piazza del Campo, one of Italy's most famous squares, is located at the converging point of three hills, is the heart of the city. Its unique architectural European style, made it the most beautiful square. The Public Palace, built from 1288 to 1342, is considered a model of Gothic civil architecture. -The Mangia Tower, a very prominent building, was built from 1338 to 1348, up to 88 meters high, its base was built with red bricks, the same color of The Public Palace. After dinner, transfer and overnight in Assisi. 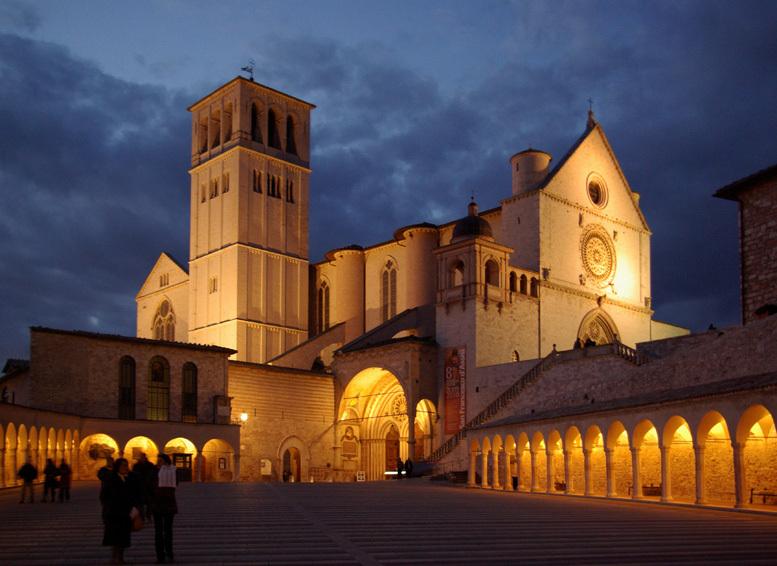 -St. Francis of Assisi Cathedral, built in 1228 and completed in 1253, is a sacred place for Catholic religion, but also a pride for Assisi. -The Town Square, since the Roman period and still now, is the heart of the city. 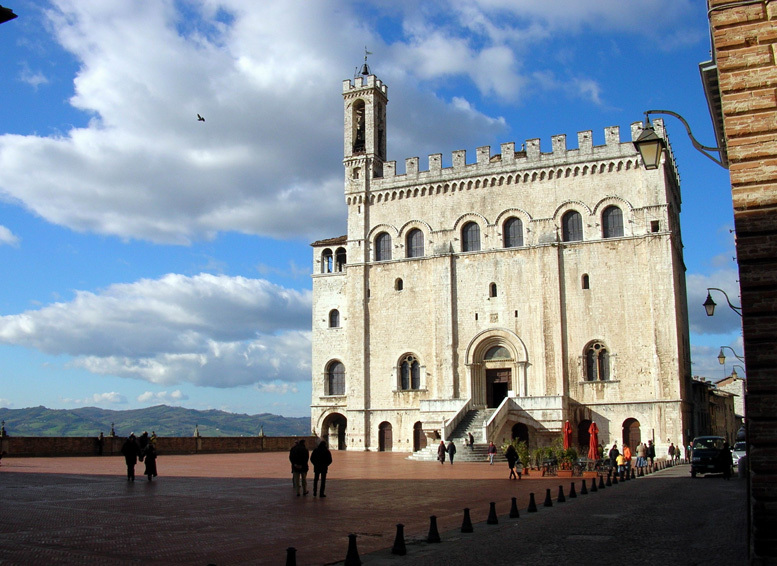 -Rocca Maggiore, the highest point in Assisi, built in the 14th century, here you can get a bird's eye view on the scenery of the entire city. -Basilica of St. Claire (Santa Clara), built in 1257, is a famous Gothic architecture building. -Cathedral of San Rufino, built in the 13th century, in Romanesque style, its carved façade is very peculiar. After dinner, transfer and overnight staying in Perugia. -The 4th November Square, this place is definitely the center of the city, and bears this name in order to commemorate a World War I campaign. -The St. Lawrence Cathedral, built during the 16th century, is very majestic. In the Baptism Hall you can admire a precious ring, which is said to be the Virgin Mary's wedding ring. -The Collegio Del Cambio Palace, the headquarters of exchange association in the 15th century. Inside one of its hall there are four murals respectively showing: Prudence, Justness, Perseverance and Temperance. -Roman Theater, built in the 1° century BC. -The Cathedral (Basilica of Saints Marian and James martyrs), built at the end of the 12th century. The most striking feature is the rose-window in the façade. After the visit, back the Perugia for dinner and overnight staying. 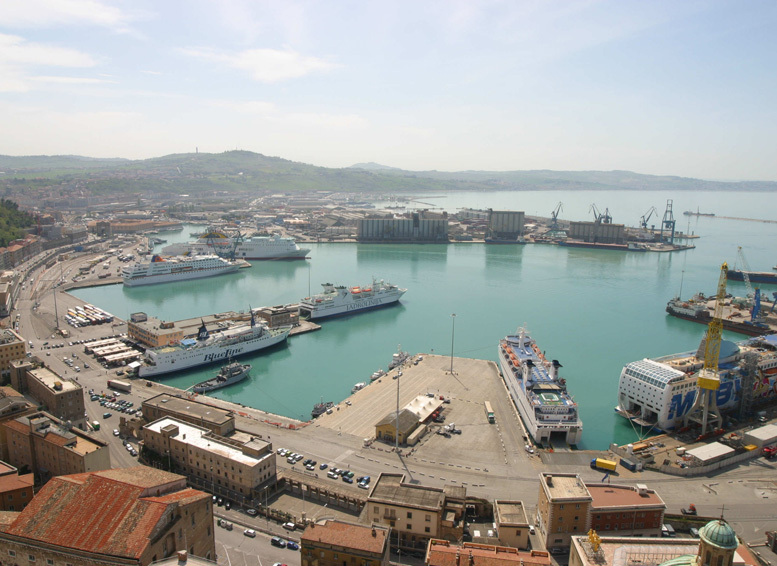 After breakfast, drive to the famous central Italian harbor city: Ancona. Visit its main attractions. On the north side of Ancona’s, Via della Loggia, there is the Roman Church of St. Mary, which has a beautiful façade. In the National Archaeological Museum of Marche Region you can find artworks dating back to Ancient Greece, Gaul period, and Ancient Rome period. Located near the port there is the Trajan Arch, built in the year 115, is one of the best preserved Romanesque arches. Dinner and overnight staying in Macerata. After breakfast, start the tour of Macerata, the homeland of Matteo Ricci, the first European priest who came in China. City’s buildings mostly belong to the medieval style. Its main Attractions is the Sferisterio Theatre, built during the Roman period, has the same open-air structure as Rome’s Colusseum, and is also a very famous Italian theater. In Macerata you can also find beautiful beaches, nice hills, and many well-preserved old buildings. Dinner and overnight staying in Spoleto. The Drusio Arch, built in the 1st century AD in Romanesque architecture, is surrounded by St. Ansano Church. -The Church of St. Ansano, built in the 4th century, is located near an old crypt which has the same quaint style of the church. -San Gregorio Church, its history can be traced back to 1609, its cramped facade and its bell tower are still in harmony with fragments of Roman architecture. -The Duomo of Maria Assunta, built in the 12th century. Dinner and overnight staying in Terni. After breakfast, start the tour of the central Italian city, Terni, an important archaeological center, where you can visit the Neolithic Village, the Neolithic Cemetery, the Roman Amphitheater, the City Walls, and many medieval churches. In the evening transfer to Rome for dinner and overnight stay. -St. Peter's Basilica, named as the tomb of Jesus Twelfth Apostle, St. Peter upon which is located. It was built by Michelangelo, Raphael, Bernini and other artists of Renaissance. -St. Peter's Square, the masterpiece of Baroque art, surrounded by a colonnade, is very majestic and monumental. -Trevi Fountain, this fountain construction started in 1730 and was completed in 1762, it was built in Baroque architectural style, the work shows a shaped portrait of victorious Poseidon. -Spain Square, since the 17th century the tourist center of Roman culture, nearby which Liszt and other celebrities lived. After dinner, back to the hotel for rest. Overnight staying in Rome. -Colosseum, built in 72 AD, to be completed in 80 AD, is a model of Italy’s well preserved ancient building. -The Arc of Triumph, this is the last door of the Colosseum, built in 312 AD to commemorate Constantine the Great’s victory in the Battle of Milvian bridge over Massenzio. After lunch a brief rest, then travel to Rome International Airport, and take the scheduled flight to domestic airport. We wish you have a pleasant journey!